Manage external vendors, repairs and approvals without the managed service price tag. 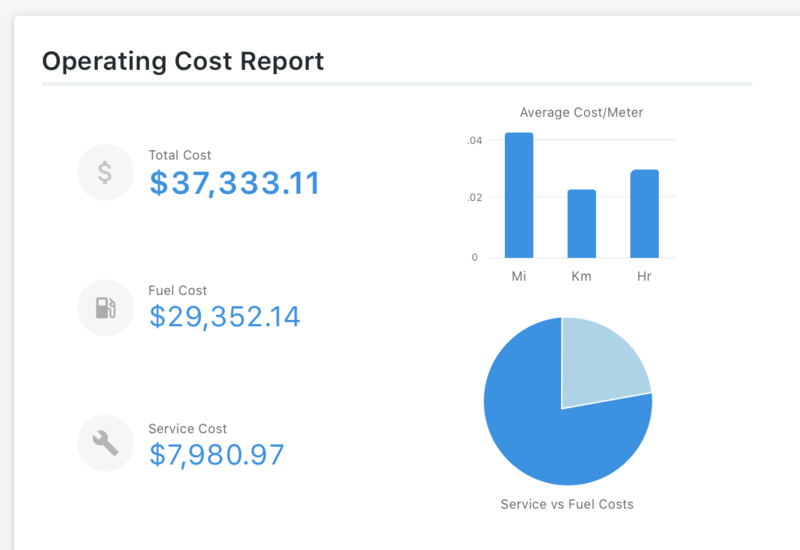 Approve repair orders electronically, analyze maintenance costs and trends, and get one bill for all your fleet maintenance vendors. 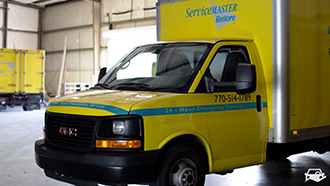 Streamline repair order management and reduce downtime. An electronic repair order management system alerts stakeholders to new repair orders requiring their attention in real-time. Approve and reject repair order line items in seconds, without picking up the phone. Eliminate data entry on external service work and report on maintenance history with ease. Line item-level data for all your third-party maintenance is imported into Fleetio automatically so you can pull reports that include the latest repair data in seconds. Help drivers to keep up with preventative maintenance and find shops when unexpected repairs are needed. Enable a culture of accountability. Get a single, centralized invoice for all maintenance work performed (including all your vendors), eliminating hours of tedious back office work. Our growing network of over 30k shops includes trusted national providers and over 20k independent shops in the U.S. to help you efficiently manage outsourced maintenance. Outsourced Maintenance Automation is free for all Fleetio Manage customers. It’s so much easier than my national account invoice billing. I like the fact that I can go in and pull invoices and send them for payment and not have to wait on emails of invoices anymore. Is there a fee? Any additional cost to me? There is no additional cost (outside of your current Fleetio subscription) to use this. Shops pay a transaction fee (similar to a credit card fee) which allows us to provide this service to you for free. How do I know if my shops participate? We work with many national providers and over 20k independent shops. Get in touch to see if your favorite shops are part of the network. How do the auto-approvals work? Do I have control over that? You have complete control over approvals (and rejections) by line item. You can set rules based on a specific provider, cost, or service code (i.e. always approve oil changes at Jiffy Lube or always approve services under $100). You can also auto-reject certain items that you never want done by a shop. What happens if a service tasks doesn't fit my rules for auto-approval? Fleetio will notify you of line items needing your approval via email. From there, you can "approve" or "reject" individual line items, add notes and see notes from the shop. The system then automatically notifies the shop of your decision without a single phone call. If I reject something does it stop the whole repair order? No. Approvals and rejections are done at the line item level and shops can only get paid for what you've approved. How often are completed service records brought into Fleetio? 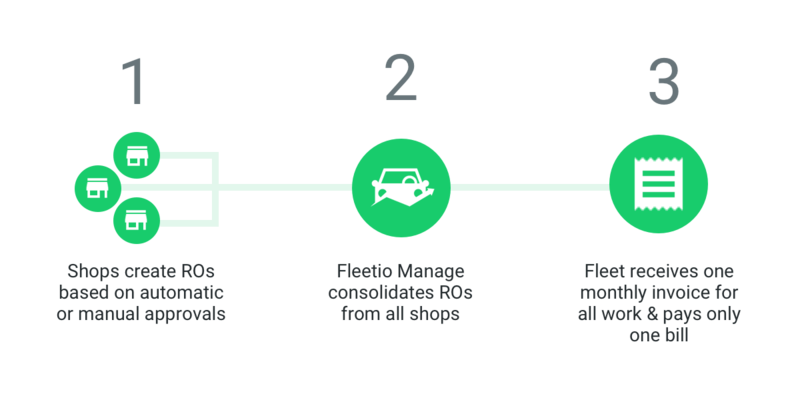 With an active Fleetio trial or subscription, you can get set up and using outsourced maintenance automation in 48 hours or less. So I get one monthly bill, how does that work? 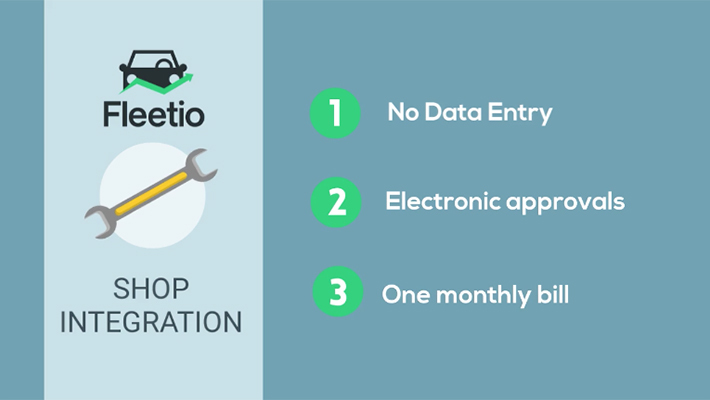 Through a fleet billing/charge account, all repair orders completed at shops in the Fleetio Maintenance Provider Network are consolidated into one monthly bill. You receive a monthly statement that you can quickly reconcile with a report in Fleetio. You then have 30 days to pay the balance. How does the shop link the repair order to Fleetio? 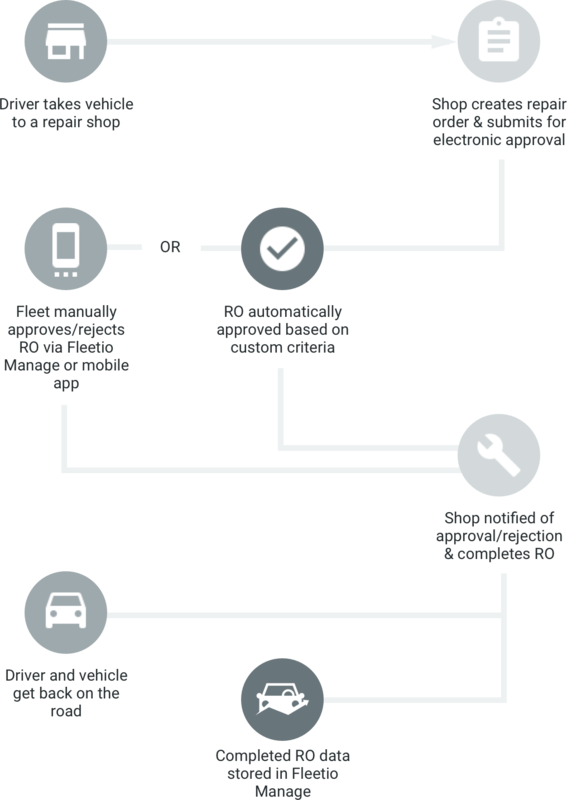 Drivers identify themselves with ID cards (printed or through the Fleetio Go mobile app) upon entering the shop. The shop will create a repair order with information from the ID card. 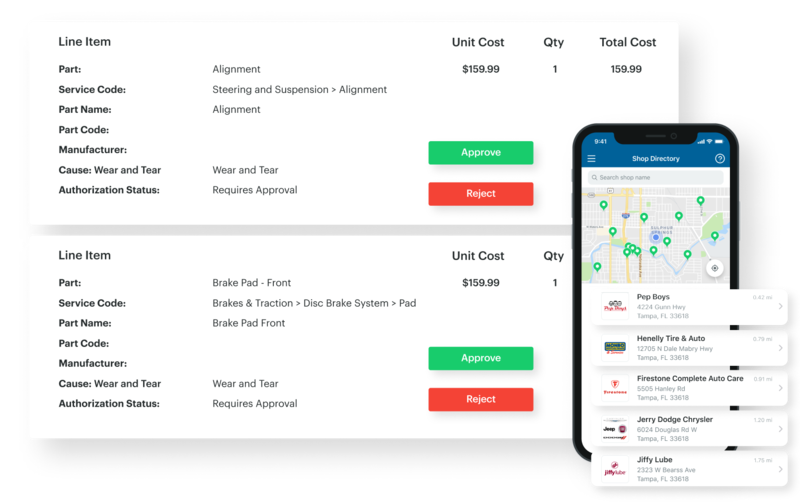 Once submitted, repair order information is sent to Fleetio via integration with the shop's repair order management system. I already receive national pricing discounts through some of these providers, is what you're offering better? We can look up pricing schedules for you with any national providers we are working with. In some cases they are the same as their standard fleet account pricing and in some cases they are better. You can use whichever pricing is better.